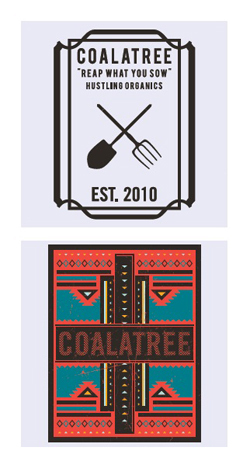 COALATREE, based in Glenwood Springs, CO, was founded in 2010 by Jake "Charlie" Bessey and Cavin Nicholson based on the "Reap What You Sow" mentality. According to COALATREE, all products are farm tested, which is easy to believe when one is introduced to the COALATREE farm - "the heart beat of the brand," according to Charlie. 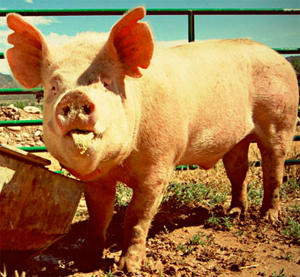 The farm features cattle, chickens, turkeys, pigs, lamb and a goat named Nicholis; and has living areas for visitors "to completely focus on the lifestyle and have an epic time with the Crew." Three years after the initial product line was launched, COALATREE is now poised to introduce the company's most ambitious gear to date, particularly with the Fall 2013 line and the inclusion of S Café, an innovative fabric produced from recycled coffee grounds which acts as an odor absorbor. "2013 is a very exciting time for COALATREE," explains Jake "Charlie" Bessey, Co-Founder and Vice President at COALATREE. "Now that the Farm, clothing line and Society members are established, we are looking to make some noise this year." With the Spring 2013 product line set to drop and an exciting year planned, COALATREE is now truly looking towards the future in leading the industry in bringing quality handmade gear featuring eco-friendly and sustainable fabrics to the public. All images below are from COALATREE's Fall 2013 catalog. How is business going? Can you talk about how COALATREE has grown since being founded nearly three years ago? Things have been going well! We are seeing good growth and are excited for the spring season to start so we can get our Farm ripping and drop the new spring line, which has been a major step forward for the brand. We have our team riders coming out to help complete the work on the Farm along with help from other shops around the nation. Our work wear line was just recently released and has gotten a large amount of attention. So I guess you can say things are starting to become more focused and creative for the brand due to the heavy support and rapid growth. A big public feature of the company is the Farm - how is life for the crew on the Colorado River and how involved are you with operations there? The Farm is the heart beat of the brand! This spring/summer, people from industry shops around the nation are going to have the chance on COALATREE’s Farm to experience the "Reap What You Sow" lifestyle. It won't be out of the ordinary this spring to see people planting corn and peas, and then take a break to fish or float the river. We are all stoked to bring back the BBQs and skate sessions at night while others tend to the greenhouse. We have living areas on the Farm so when you come out, it’s nothing but focus on the lifestyle and having an epic time with the Crew. Life on the Farm is always good. We show up to work and have greens to eat, chickens, cows, turkeys and pigs! Don't get me wrong, there is a lot of hard work that needs to be done daily along with developing a clothing brand, but this is the life! When the sun rises, everyone is hungry to make the most out of that day so the vibe with us stays strong. You’ve assembled an amazing team of athletes and ambassadors that seem to speak on the message of the brand – how important has securing great sponsorships been for the growth of the company? COALATREE has always been interested in more than how great you perform at what you do, whether it be fly fishing, music, art or sports. We have always looked for guys that also have an interest in gardening and living a more self-sustainable lifestyle. Our mindset when it comes to performing is that “what goes in and on your body is going to help you be able to rally that much harder.” Every one of our Society members does a great job at promoting and living those messages of the brand. It's more important than ever to be true to what you believe! 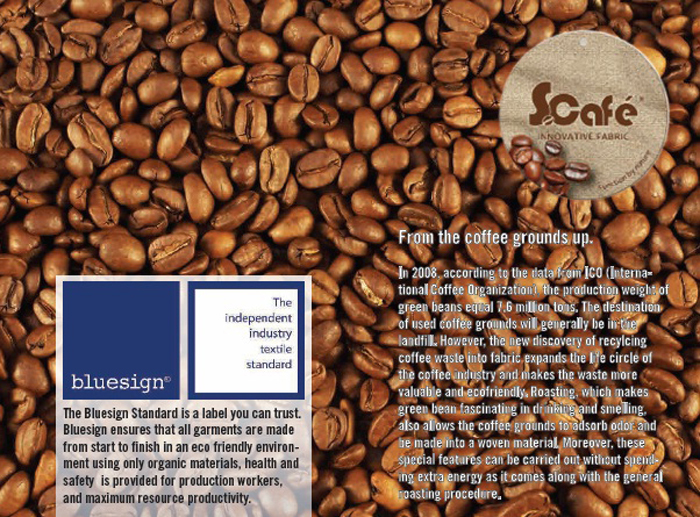 Switching gears, you mentioned launching the Spring line and looking towards the upcoming Fall 2013 line, which features S-Café (a fabric made from recycled coffee grounds). How will this improve on the high quality organic streetwear lines you’ve released in the past? Our lines in the past focused heavily on eco-friendly materials. We now are able to implement fabrics that focus on odor control, moisture wicking, heat and cooling properties that have DWR (durable water repellant) coatings. These coatings are applied in BlueSign approved mills which helps consumers know that they are buying a garment that is eco-friendly, sustainable, functional and has technical properties to protect them from the jungle that we all call the city. COALATREE has built the bridge between street wear and garment functionality. What’s coming up in 2013 as far as events, the team of Society members, the upcoming spring lookbook and any other new product line launches? 2013 is a very exciting time for COALATREE. Now that the Farm, clothing line and Society members are established, we are looking to make some noise this year. We will be pushing out our “Grow Everywhere” campaign with our Society members through industry outlets such as VICE Mag, Transworld, The Skateboard Mag, etc. We also will be touring around to shops in America and providing Skate Demos & organic BBQs from our farm to promote the brand message. On the Farm we will be having all the Society members out this May for a Spring grow week that will include skating, BBQs, fly fishing, concerts, MTN pump tracks, disc golf and a whole lot of planting over 3 acres on the farm. You started COALATREE with co-founder Cavin Nicholson in 2010 - close to three years ago – where do you see the company in another three years? We see ourselves being the brand that is leading the industry in eco-friendly and sustainable fabrics. We are the brand that will be working with athletes, shops and brands in our industry to bring handmade quality gear to the public. We are getting ready to launch a new technical line that focuses heavily building a bridge between the functional outdoor gear and street wear. What have been the biggest challenges along the way in establishing and growing COALATREE? It seems like for every bit you achieve, the steeper the hill gets. Hard work is what we eat and breathe. Anyone can work hard, but working hard to creatively solve situations or problems with other people is difficult. We don't grow lemons, but have made a lot of damn lemonade. When times get hard, you have to make sure you have the right team on board so you can reach out and make the best decision. Don't be afraid to make a mistake and be careful of who you hire! If you haven't failed, then you aren't trying hard enough! COALATREE has always lived the “Reap What You Sow” mindset, and we have been excited to bring that to an industry we love. This is the reason behind us spending two years developing the Farm before we launched the clothing line. This last year has been great because we have acquired a great team of athletes and retailers. We now can say that our gear is on point along with the guys that rep it! All our fabric comes from BlueSign certified mills and the gear has become more technical and functional, which was our goal from the beginning. COALATREE is now completely vertical, meaning that all marketing, sales, design and production are handled under one roof. This allows us to adapt quickly to what shops and our riders are telling us. What are you most excited about for the future of COALATREE in 2013 and beyond? We are excited to spread the “Grow Everywhere” campaign and watch the COALATREE Society succeed. I think the whole Crew is excited to see the person next to them step it up and crush it for the brand. The Farm is also going to turn some heads because we are the first Crew of guys to bring this to life and we can't wait to see everyone get dirty. Care to add anything we may have missed? We just added a brand new website at www.COALATREE.com that lists our full Society team. Also if you have any interest in visiting the farm and getting your hands dirty this summer, please e mail me at Charlie@COALATREE.com.